Automobile accidents can happen in a flash, and when they do, you assume the safety features that come standard in your vehicle—features such as air bags—will help you escape serious injury. But what if they don't? What if the air bag in your vehicle inflates too late? What if it never inflates at all? What if the air bag ruptures when it's not supposed to inflate? Unfortunately, a staggering number of defective air bags are in automobiles currently travelling on American roadways, and when they fail, they cause significant and even fatal injuries. Were You Injured by a Defective Air Bag? If you or someone you care about has been injured by a defective air bag, you probably have many anxious thoughts racing through your mind: Do I have a case? How do I prove the air bag was defective? How will I pay for my medical bills? What if I can't return to work—how will I take care of my family? Call the experienced product injury attorneys at Edgar Snyder & Associates today. We'll review your case for free, and there's never an obligation to use our legal services. Overly Aggressive Air Bags – Overly aggressive air bags were designed with too much propellant, which causes them to inflate too quickly—sometimes faster than 200 mph —and go too far into the occupant compartment. Untethered Air Bags – Air bags usually have tethers—cloth strips that are sewn onto the inside of the air bags to limit their movement while they inflate. Untethered air bags don't limit how far the air bag reaches. Low-Deployment Thresholds –Air bags are only necessary in higher-speed crashes. When air bags have low deployment threshold, they deploy in low-speed collisions—causing more severe injuries than if it wouldn't have inflated at all. Other System Malfunctions – Defective electrical systems or sensors can cause air bags to inflate at the wrong time, such as when you're starting your car, or when you hit a pothole. These system malfunctions can also cause airbags to inflate improperly or not at all. Both can cause serious, and sometimes, even fatal injuries. Defective car products have been in the national spotlight for the past few years thanks to a recall of more than 100 million Takata air bags. A defect caused some Takata air bags to explode, sending pieces of metal into cars, as well as their drivers and passengers. Some of the injuries suffered were fatal. The recalls affected front, driver and passenger-side air bags. Takata and car manufacturers are working with the National Highway Traffic Safety Administration to prioritize the replacement of those millions of defective air bag inflators—from highest to lowest risk. If a defective Takata air bag was responsible for your injury, you probably have many important questions. If so, please know that our legal team is available to you 24/7. Victims of product injuries have limited time to file a legal claim. Don't delay—call us today for a free case review. Preserve the vehicle, preserve the evidence. If you believe your injury was the result of a defective air bag, it's imperative that you preserve the vehicle following an accident. Don't allow it to be repaired or sold until investigators and experts have inspected the automobile. If not, valuable evidence that could help prove your case could be lost. Take photos. The old saying, "A picture is worth a thousand words" is especially true in the legal world. Photograph the vehicle damage, the inflated air bag, other involved vehicles, and the crash scene. Take note. In addition to taking photos, jot down what you remember from the accident—what you saw, heard and did before, during and right after the crash. Remember to write down the names and contact information of other drivers, as well as any witnesses. Get it on record. Always call 911 after a crash—even if you think you aren't seriously injured. It's important to get an official account of the crash. You will need it to file an insurance claim. Always request a copy of the incident report. Seek medical attention. It's important that you seek medical help shortly following the accident. Don't talk to insurance adjusters. Sad but true: Sometimes insurance companies—yes, even your own—don't have your best interests at heart. Our advice? Just say 'no' to giving a statement, whether it's verbal or written, until you've consulted with an attorney. Consult an attorney. Not all attorneys are created equal. Seek out an experienced personal injury attorney—one who understands the ins and outs of product injuries. For more than 30 years the skilled personal injury attorneys at Edgar Snyder & Associates have had a singular mission: To help people who were seriously injured in accidents. We can help you, too. If you've been seriously hurt by a defective air bag, call Edgar Snyder & Associates today for a free case review. There's no fee to talk to one of our legal professionals, and there's no obligation to use our services. 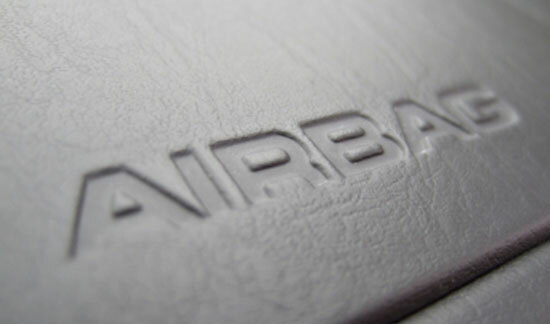 Who's Liable in a Defective Air Bag Accident? In product injury cases, the party liable for your injuries could be the defective product's manufacturer or distributer. It can also be the company that manufactured the defective air bag components. At Edgar Snyder & Associates, we will also work to determine the nature of the defective air bag. Was the defect a result of a flawed design? Did the defect occur while the air bag was being manufactured? Were there insufficient consumer safety warnings? Our experienced legal teams will collect the evidence, and if necessary, consult with experts to answer all your questions. All you need to do is give us a call. We'll sweat the details related to liability and more so you can concentrate on what's best for you and your family: Your recovery. Recovering from an accident can be a long process in every way: physically, emotionally and financially. However, getting the answer to one of the most pressing questions—"Do I have a case?—is just a phone call away. Contact the experienced personal injury attorneys at Edgar Snyder & Associates today and put our three decades of legal experience to work for you. When you call us, we’ll examine the details of your accident to determine whether or not you have a legal claim. It's important that you call today. People who've been hurt by defective products such as air bags have only a limited time to file a legal claim. The sooner you call us, the sooner we can go to work on your case. Call Edgar Snyder & Associates and let us go to work for you. The legal consultation is free, and there's never a fee unless we get money for you. When you are recovering from injuries related to a defective air bag, you probably have many important questions. We don't want, "How will I pay for a quality attorney?" to be one of them. Edgar Snyder & Associates work on what's known as a contingency fee. That means if we don't get compensation for you, you don't pay us. It's a promise that we’ve kept to our clients for more than 30 years: There's never a fee unless we get money for you. Why Hire a Defective Product Attorney? With more than 30 years of experience and success and over a billion dollars in verdicts and settlements, the attorneys at Edgar Snyder & Associates know how to stand up to big manufacturers to get you the money you deserve for your defective air bag injury. If you or someone you care about was seriously injured by a defective air bag, don't delay—call us today at 1-866-943-3427 for your free case review. We're available 24/7. You have absolutely nothing to lose and everything to gain because with Edgar Snyder & Associates, there's never a fee unless we get money for you.